Petitcollin Petit Câlin black baby doll in vinyl 28 cm / 11"
Petitcollin Petit Calin black baby doll in vinyl 28 cm / 11"
This beautiful brown vinyl baby doll Soleil d'Ete (Summer sun) is 28cm which is small enough for little hands. Petit Calin Soleil d'Ete's head and hands are made of soft lightly vanilla perfumed vinyl. 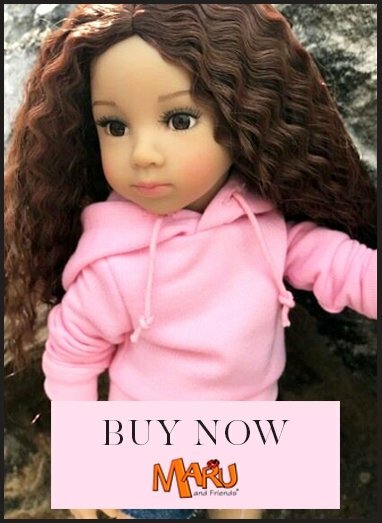 Her head has lightly painted moulded hair and her big brown eyes close.